Vacuum Metalizing FAQs | VTI Vacuum Technologies, Inc.
EMC, or Electromagnetic Compatibility, is a measure of electrical equipment’s ability to neither radiate nor conduct electromagnetic energy or be susceptible to outside energy sources within its normal operating environment. What environmental test will vacuum metalized parts meet? 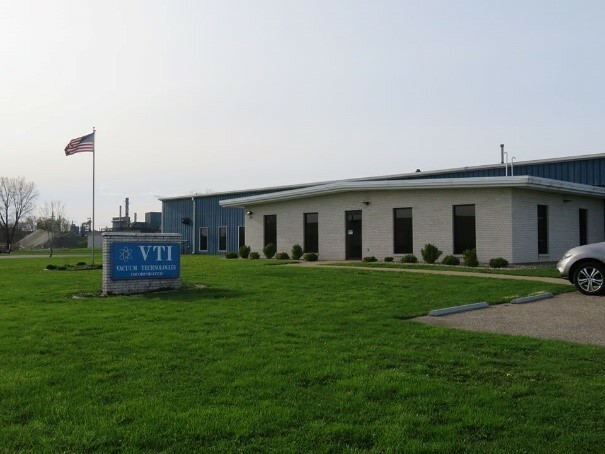 VTI has a variety of plastic resins approved in compliance with the UL Standard 746C thermal cycling test for metalized components. Does the vacuum metalizing process impact the environment? No. The vacuum metalization coating process is totally enclosed and all the metalized plastics can be recycled. The aluminum vacuum metalizing process for plastics is environmentally friendly. Apart from the elements silver and copper, aluminum has the highest conductivity. Silver is often too expensive, while copper oxidation takes place uninterruptedly, meaning considerable corrosion problems arise within a short time. After being vaporized, aluminum encounters the oxygen in the air and forms a stable oxide layer on its surface, which is less than 200 Å thick. This oxide layer does not interfere with proper electrical contact and affords good protection against corrosion. What about oxidation of the aluminum film over time? While in the vacuum chamber, the aluminum coating is oxidized when first exposed to the atmosphere. After the initial exposure, the surface’s electrical resistivity will remain constant. How thick is the metalization coating? For EMI and ESD shielding, the coating thickness is consistent and generally measured in microns. 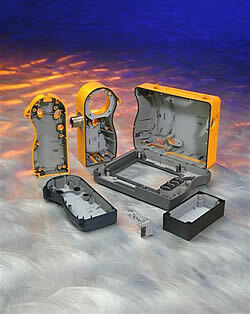 The vacuum metalized surface does not have to compensate for thickness to get a good fit between components. What is the metalized surface resistance on most molded plastics? Sheet resistance is generally stated in ohms per square. Continuity from point A to B can also be used. What strength of adhesion can you expect? On most plastics used in molding today, we use the ASTM D 3359 standard “Measuring Adhesion by Tape Test” method. How do you pre-clean the plastic parts before metalization? No known cleaning system can effectively remove silicone mold release. We do have a process that is an integral part of the vacuum metalizing process that will remove light oils, dirt, moisture and other undesirable contaminants. We also have a water-based, mild-chemical cleaning line which removes heavier contaminants, if required. The best practice is to ensure that the molds be clean and free of grease and oils. Some engineered resins can contain a high content of fire retardants or plasticizers that can affect and cause a weak boundary layer between the coating and the substrate. Do you offer metalized samples? Yes. We understand that it’s helpful to obtain metalize prototypes and get them into the hands of the design engineer early in the development phase and without committing to mask tooling. Fast-tracked parts can be hand masked as a matter of expediency for early device testing. If you have further questions about our vacuum metalization coating process or EMI and ESD shielding, please contact us. We’d welcome the chance to discuss your questions, product design, and EMI Shielding manufacturing needs. 800-482-1941.